The Albatros B.I and smaller B.II were developed before the outbreak of war in 1914 and were roughly equivalent to the British Royal Aircraft Factory B.E.2, although slower but better looking. Layout was fairly conventional for the time with the pilot occupying the rear cockpit and the observer the front. No armament was provided as aerial combat was a thing of the future. Power was provided by a 74.5kW Mercedes D.I or an 82kW Benz Bz.II engine and an ugly exhaust manifold partially obstructed the forward view. However, they were strongly constructed and well liked by their crews and were widely used for reconnaissance duties during the first year of the war on both Western and Eastern Fronts. Manufacture was undertaken by several companies. A seaplane version was also built in small numbers and a few B.II were operated by Austro-Hungary. 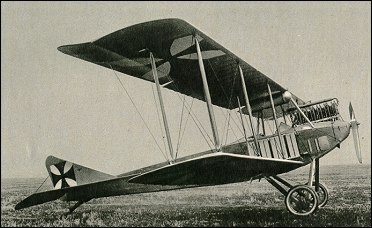 In 1917 the B.II was ordered back into service as the B.IIa dual-control trainer, powered by an 89.4kW Mercedes D.II or Argus As.II engine. Further digging has brought to light that the Albatros B.I's in Austro-Hungarian service are in all actuality Albatros C.I's and C.III's built by Austria-Hungary and named B.I. Confusing....actual #'s of B.I's built seems to be elusive, although I did find reference to a peak strength of 157 machines in April 1915. Given a loss rate of 20% due to shoot downs, crashes, and write-offs, and then including the 20 Turkish and 2 Bulgarian examples would give us a ballpark figure of somewhere around 210 machines. But this figure too should be taken with a grain of salt since the Turkish and Bulgarian machines could have been German machines originally and given to those two countries when the "C" types started to come online. I am looking for the production figures for both the B.I and B.II. I have some data on the B.I in other Central Powers air corps. I have 204 examples serving with Austria-Hungary through 1915. 20 examples served with the Turkish Flying Corps from 1915 until the end of the war. Bulgaria seemed to operate two machines throughout 1915. My Grandfather wounded the pilot, and forced down a Albatros B-III type, I have several pictures showing the plane in good condition, plus I have the propeller, wonder if the plane is sitting in a museum someplace? My wife's grandfather flew the BII during WW1. I have a photograph of him standing under the propeller along with his "Beobachtungs Schule" students.